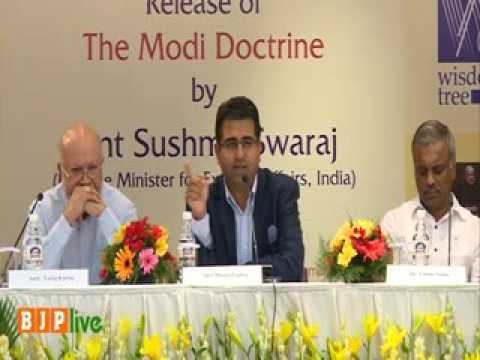 Here’s the Discussion I had the pleasure of moderating at the launch of ‘The #Modi Doctrine’ recently in New Delhi. The excellent panellists and authors of some of the most incisive chapters in the book were : Dr Shakti Sinha, Ambassador Karim (Bangladesh), Dr UK Sinha and Dr Asanga (Sri Lanka). Was lovely to have Sushma Swaraj, India’s External Affairs Minister and Priti Patel, UK Secretary of State for International Development in the audience. Two formidable politicians making a mark in their countries and on the world stage. The book which has been expertly co-edited by Vijay Chauthaiwale Anirban Ganguly & Uttam Kumar Sinha is available on Amazon.